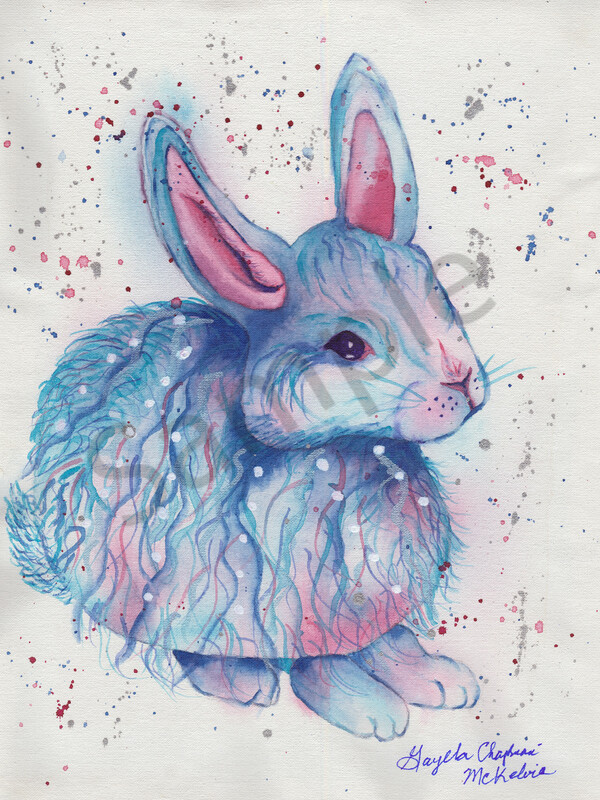 This whimsical little bunny is so colorful and so, so cute. 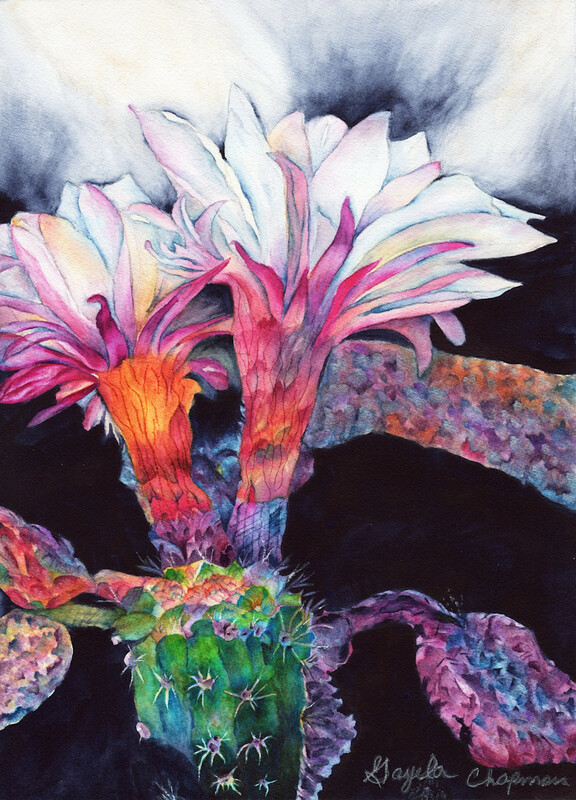 The painting was painted on acid-free watercolor canvas with watercolor and silver ink. I started this painting not knowing what it was going to be or how it would turn out. I dropped a few drops of some blue, pink, and purple paint on the wet canvas and then just let the water move the paint around a little bit. Once the paint dried, I was looking at it trying to figure out what I was going to paint. I could see two blue blobs of paint that looked like it could be ears, so I decided, since Easter is coming up to paint a bunny. I drew the shape of the bunny's face and ears around the painted blobs. I was going to just do the face, but I decided that it didn't look right. So, I decided to draw a body and some feet. The body looked like the shape of an egg, but I decided to go with it and added the feet, which the paint in the feet was perfect. The body not so much and about half-way through the painting I was thinking this painting is going to be junk but decided to go ahead and work on it just to see how it would turn out. You never know, right? Once I started adding the paint and the depth it started to look better and by the time I added more paint, some sparkly paint, and white dots, it was so cute and I loved it. I wasn't sure if I would leave it like it was or add a background, which I decided to try just throwing some dots of paint on the painting and some silver ink. So this is how "The Blue Bunny" was inspired and created, which it is really sweet and a cheerful painting that got me in the mood for Easter. I am really enjoyed painting this and I am glad I didn't junk it because I am very happy with the way it turned out. Click to see pictures of the painting process.